Last minor release before going live! Added emoji support almost everywhere. We also added new emotes and exclusive emotes (donors only) to our reworked emote picker. 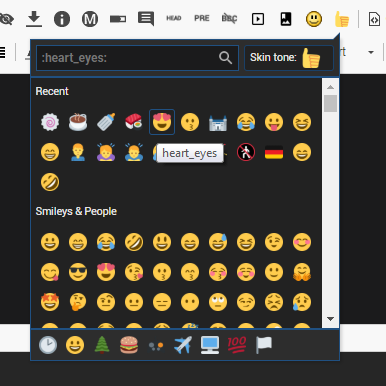 Emoji style can be changed in your Forum Settings under Look & Layout. Updated external libraries to their latest stable version (mostly bug fixes and performance improvements). Added Sentry (https://sentry.io) to monitor errors in the front- & backend. This will improve quality over time and let us react even faster to issues. Newsletter system (powered by phplist) has been implemented and customized to fit our new blue design. Connected phplist with the UGX-Mods forum to sync information between both instances. We will listen to community feedback . The next version will move the beta state on our live domain. All beta links will redirect to the correct live domain then. To get a complete overview, visit https://beta.ugx-mods.com/roadmap .